25/06/15 Aberdeen City Council Leader Councillor Jenny Laing, Lagan Construction Group Regional Director Scotland and Northern England Gavin McKevitt, and Aberdeen International Airport Operations Director Ben Dempster. Work has started on a £15.2million park and ride site and dual carriageway link road near Aberdeen International Airport. The city council is investing in the 1,000-space facility off the A96 Aberdeen to Inverurie road to try to ease congestion and slash journey times. Council leader Jenny Laing yesterday joined workers from contractors Lagan Construction Group for a sod-cutting ceremony on the site. The development at Dyce will provide spaces for 1,000 vehicles, as well as cycle lockers and 500 metres of dual carriageway between the A96 and Dyce Drive at its junction with Argyll Road. The northern leg of the link road will be built in the first phase of the project, and is due for completion in November. The second stage of the development, which will involve the southern leg and the connection to a new roundabout on the A96 to link to the new Aberdeen Western Peripheral Route. The facility is due to be opened in August next year. 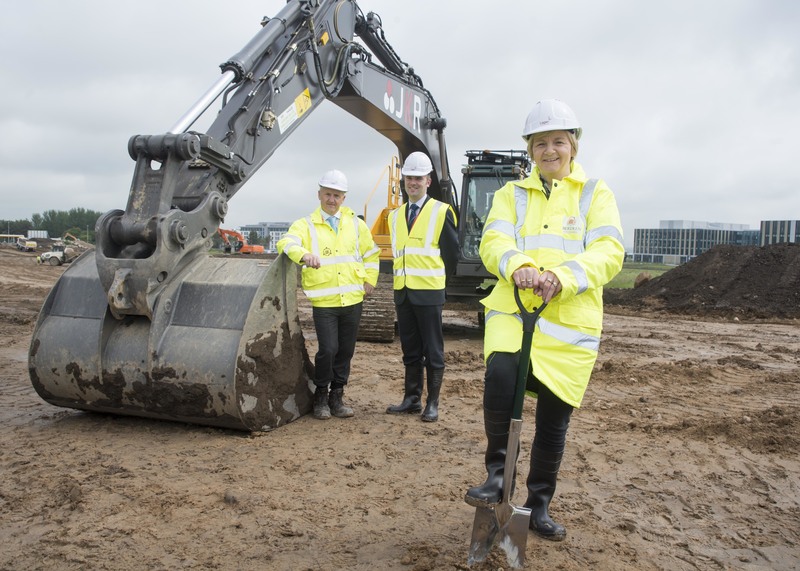 Aberdeen City Council Leader Councillor Jenny Laing said: “It is fantastic that we can now see work starting on this crucial piece of major infrastructure. “It is one of the largest contracts that Aberdeen City Council has signed in recent times and should deliver significant benefits in terms of relieving congestion on the A96. “It will also provide a boost for the region’s economy by freeing up prime development land close the airport and the AWPR. Ben Dempster, operations director at Aberdeen International Airport, said: “It’s fantastic to see this important project moving along at the pace it is.